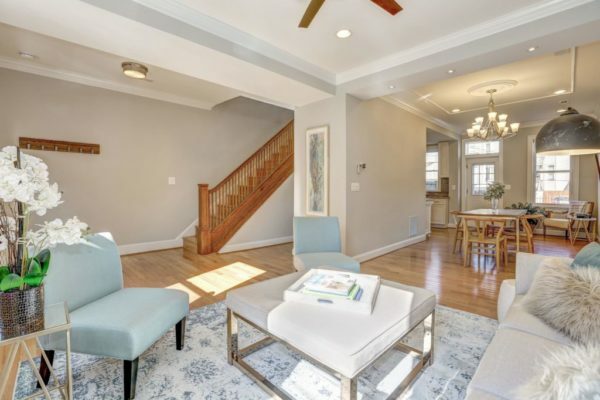 Open: Saturday and Sunday, 11 a.m.-4 p.m.
Sleekly designed and priced at an incredible value, The Gallatin’s new 2 bedroom, 2 full bath condominiums are now selling in the Petworth community. An open layout from kitchen to living room, modern finishes such as, quartz kitchen countertops, marble tile and flooring in both bathrooms and glass tiled backsplashes in select kitchens are complimented with exposed iron beams and a soft palette of gray hues for a slightly industrial accent. Located between the dynamic Upshur and Kennedy Street Corridors, The Gallatin condominiums are 2 bedroom, 2 full bath homes built for urban living and designed with a modern edge. The open concept layouts provide an organic flow from kitchen to living area, with custom built-in media storage and shelving throughout. Kitchens include quartz counters, movable Brazilian Walnut islands and glass tiled backsplashes (in select homes). Both full bathrooms include marble flooring and tile. Amenities include an outdoor social area with grilling station and seating, secured bicycle storage, one large storage space per unit, security system with intercom and package room. Schedule an appointment by contacting: Jay Zelaska, 202-792-0070. Open: Sunday, March 17 from 1-4 p.m. The Bower offers a variety of layouts to suit your lifestyle from studios starting at $394,900, one-bedrooms starting at $419,900 and spacious two-bedrooms starting at $734,900. 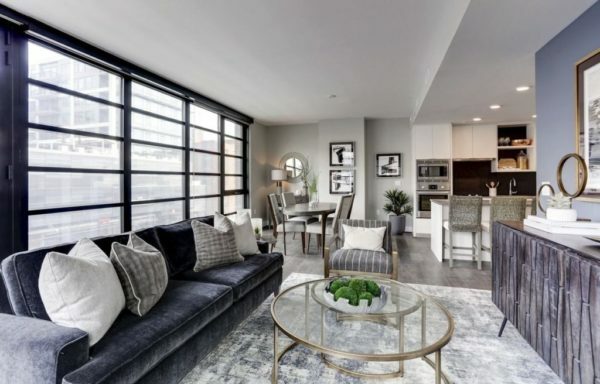 Explore The Bower’s expansive two bedroom units including sweeping city views through floor to ceiling windows with generous layouts that you can make your own. With access to an ample rooftop terrace along with inviting community spaces from the residents’ lounge to the fitness studio, The Bower offers the ideal mix of energy, convenience, and style. Resident move-ins at The Bower have begun, with now over 75% sold, tour Sunday and own it all at The Yards only at The Bower. Open: Sunday, February 17 from 1-4 p.m. Custom inset cabinetry and millwork play an integral role in another timeless composition by Connell & Schmidt Builders. 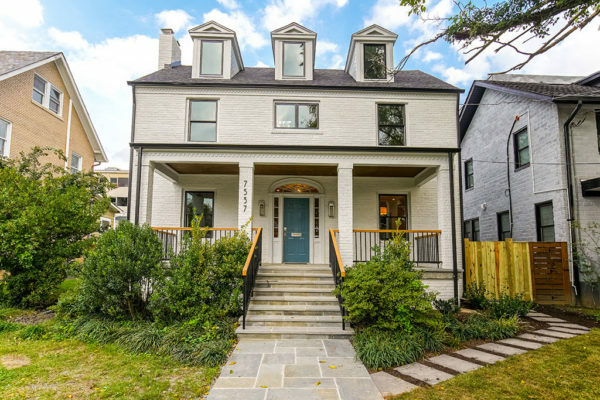 The best builders on the Hill deliver 3 floors above grade, with a rare balance of luxury and unassuming modern farmhouse style. Clean lines and a bulkhead free backdrop are made possible by the quality and thought put into a completely new structure and systems. An open floor plan reveals a stunning kitchen with custom cabinets to the ceiling, perfect for urban living and entertaining. The work triangle is completed by a Bertazzoni range and beautifully crafted white oak island topped with honed carrara marble + apron sink. The owner’s suite has 12 ft ceilings and provides a wonderful cityscape through Marvin windows framed by storage, book shelves and bench seating — a perfect nook. Dueling closets to the ceiling guide you to the marble clad owner’s bath which sports custom glass shower doors, a giant custom vanity, sconce lighting and a large soaker tub w/skylight. A walk out roof deck with ironwood decking and steel railings provides extra outdoor space. This Victorian bayfront rowhouse sits on the high ground of a one way street w/a bike lane close to the best of H Street. Secure off street parking. Check out @csbuilders for a closer look! Open: Every Weekend, Saturdays and Sundays, 12-3 p.m.
Chapman Stables began with its roots in the America’s Industrial Age as the Chapman Coal Company Garage & Stable. Re-envisioned for todays modern condominium living, the soul of this industrial icon has been restored & renewed with finishes that evoke its storied past along with 21st-century amenities, making it one of DC’s most exciting places to call home. 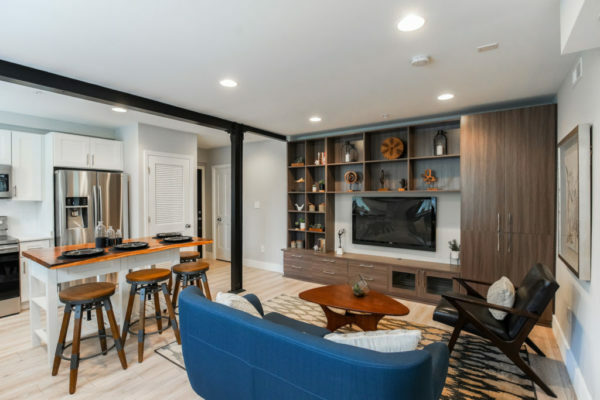 With brand new homes ranging in price from the $400s to over $1M, and more than 50% of the homes already sold, tour our featured residences this weekend from 12-3 p.m. and experience modern living in a historic setting. 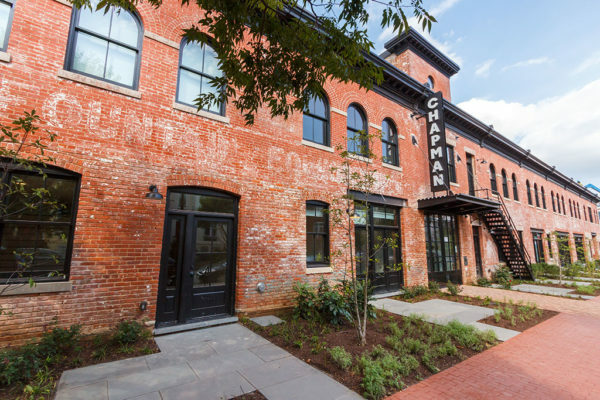 As we continue to welcome new homeowners, now is the time to claim your own piece of Chapman Stables before it’s too late. Open: Saturday and Sunday, 2-4 p.m. This Park View stunner has it all. 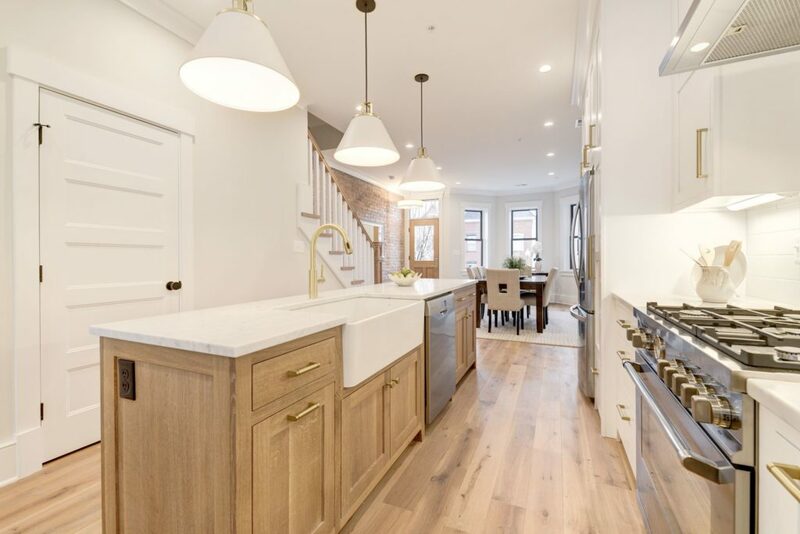 Sophisticated high ceilings and gleaming hardwood floors grace this 1908 townhome that has been thoughtfully renovated for the modern homeowner. 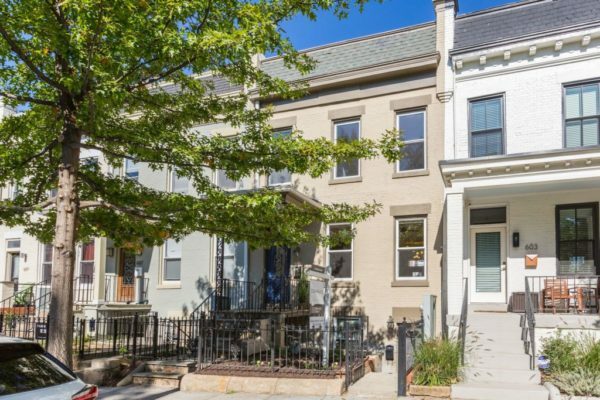 Nestled in the heart of D.C., this 4 bedroom/3.5 bath row home checks all the boxes for city living. 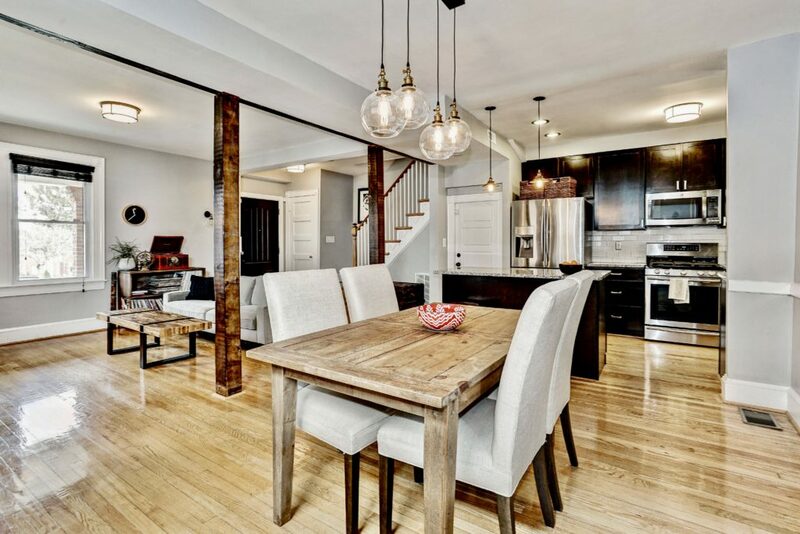 Ample sunlight soaks the open-concept first floor with a gourmet kitchen overlooking a private deck and gated parking. Be wowed as you walk into the fully separate basement apartment complete with a certificate of occupancy and rental income already flowing. 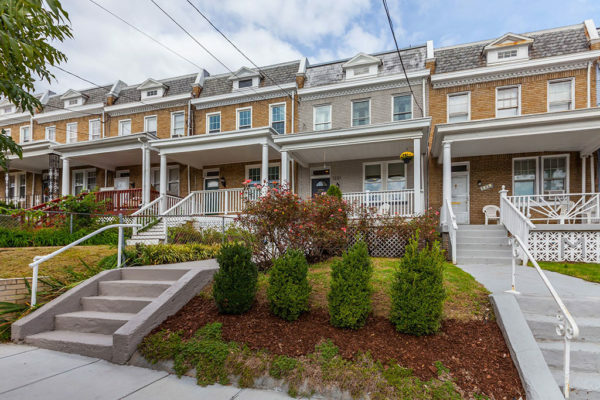 The home is conveniently located near Columbia Heights and Petworth and mere blocks from Call your Mother Deli, The Midlands Beer Garden, Bad Saint, The Wonderland Ballroom and more. Don’t miss this amazing opportunity to have it all in one of D.C.’s hottest neighborhoods. Come check out an open house this weekend or contact Megan Conway for a private tour. Open: Saturday and Sunday, October 20 and 21, 2-4 p.m. 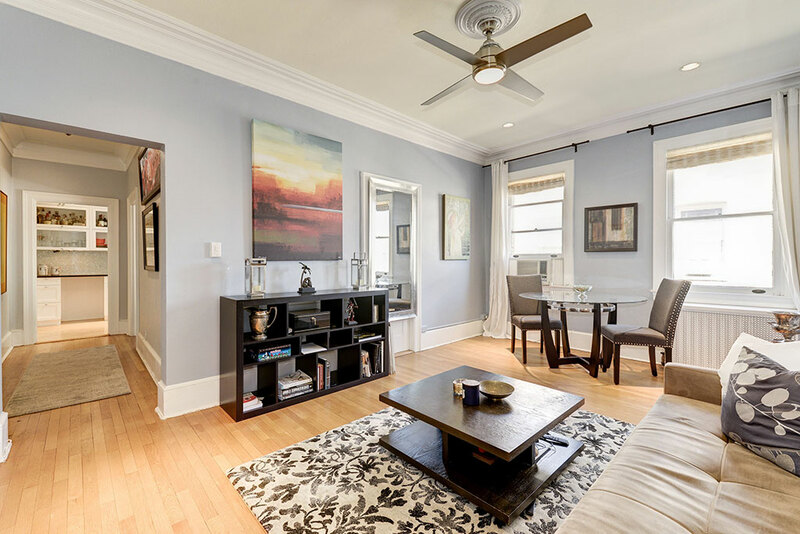 Enjoy a truly turn-key lifestyle in this spacious & beautifully renovated 1 bedroom penthouse located in a meticulously maintained historic building in the coveted & famous Kalorama neighborhood. The Westmoreland harkens back to an era that offers luxury living with ample space, while offering a home suited to today’s modern living. A large gallery foyer welcomes you home. Relax in the spacious living room. Prepare meals in a sunny, cook’s dream kitchen featuring Viking gas range, Sub-Zero refrigerator, Bosch microwave, Miele dishwasher, crisp white cabinets and granite counters. A large skylight offers terrific light. Completely renovated 16th Street Heights row-house boasts an open main level perfect for entertaining with gourmet kitchen, stainless steel appliances and breakfast bar. Incredibly deep lot provides patio for grilling, room to play, planters and off-street parking. All main systems were replaced in 2012 with new HVAC in 2017. Lower level yields family room with full bath + rear egress. Inbound for West Elementary. Located in the desirable neighborhood of Shepherd Park, this 1942 center hall colonial has been completely renovated and expanded for today’s lifestyle. The new home now boasts more than 4,300 sq. ft. with five bedrooms, two bonus rooms, four-and-a-half bathrooms and all new systems. Finishes balance contemporary and traditional styles to receive all the benefits of modern living without removing the charm or architectural integrity of the original structure. New 4″ white oak, sand-in-place flooring spans the entire first and second floor.